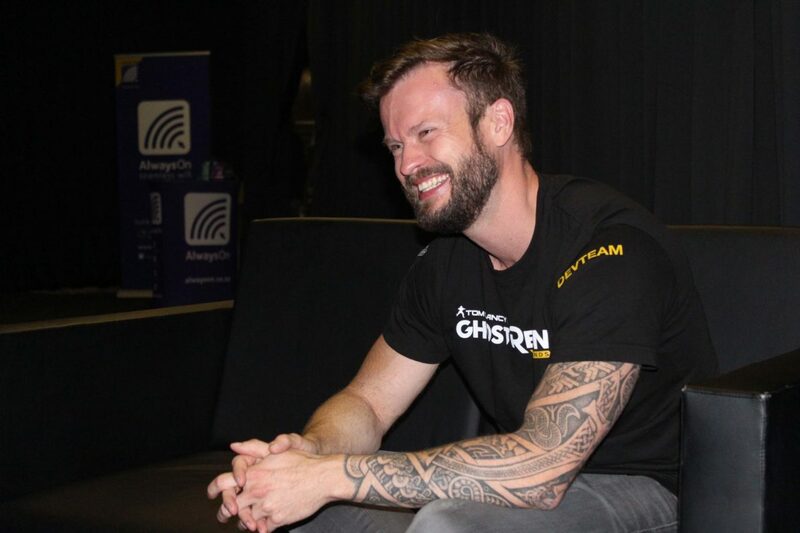 The annual rAge festival in Johannesburg offers a huge platform for game developers to share the stuff that they’ve been working on for the last couple of years and it’s always great to hear what they have to say. 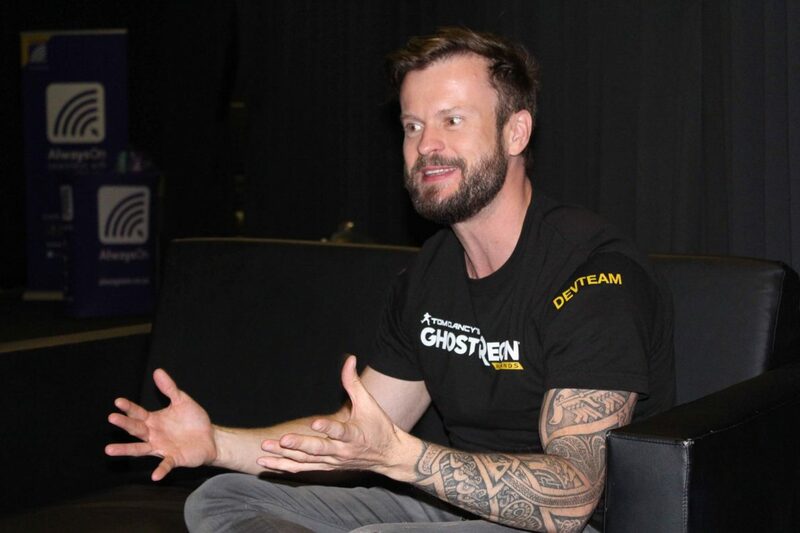 One of these people at this year’s rAge is Tom Isaksen, who is a character artist on the much anticipated Tom Clancy’s Ghost Recon: The Wildlands. Fortress sat down with him and got to know the man and the game a bit better before its official Marth 7th release. So let’s start a bit informal. How are you experiencing South Africa’s gaming community so far? It’s been really great. I haven’t been around to see everything, but after our talk today I am going to go and have a chat with some of the indie developers here, just to get the feel of everything. Is the gaming community bigger than you expected? To be honest, I have no idea what to expect. It’s my first time in South Africa, everything is still so new to me. But everyone seems happy, it’s something I’ll surely enjoy. I’m sure you will. So can you tell us a bit about Ghost Recon: The Wildlands and what it was like working on its development? Well, this is my first Ubisoft title that I’m working on. It’s a blast working on this massive open-world and I’m a character artist on it, so populating the world and doing all the customization, it’s a real challenge, you know. 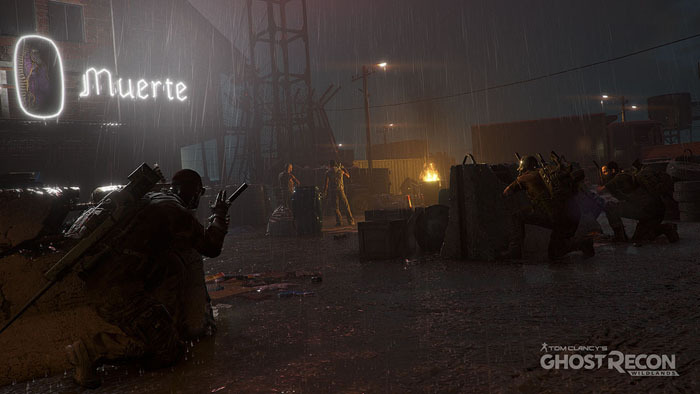 We want to give the player everything they’ve ever wanted from a Ghost Recon game; a really big open-world, full player co-op, basically giving the players the freedom they want. Production wise, it’s very cool to be working at Ubisoft because they are very conscious about quality and they always strive to improve the game, thinking how they can make this better or improve on this and that. For an artist like me, that’s all I can ask for, you know. I want to be proud of the project, you know, it’s a real investment. It’s now been four years since I’ve started working on the project and when it gets out there we really want to be proud of it. You mentioned that this is your first Ubisoft title, can you talk about your previous experiences in the gaming industry? Yeah, I did a freelance period where I worked on multiple projects and before that I was a lead character artist on the Hitman games. And we all loved Hitman. 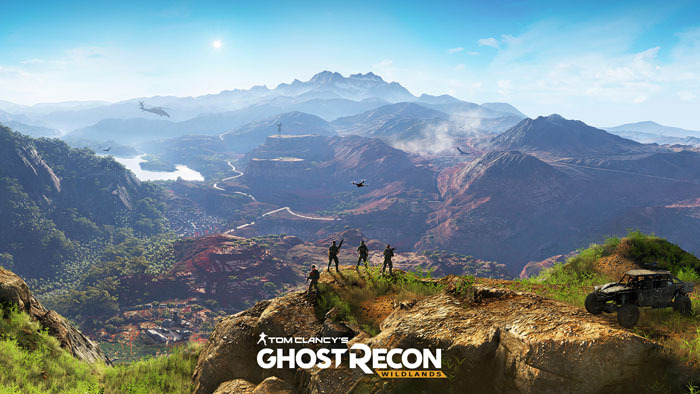 The structure of Ghost Recon: Wildlands is quite the departure from the previous games, so can you talk about what led to that decision and how it affects the future of the franchise? Sure, yeah. Well, right now we’re so very much focused on this particular game and we don’t really know what’s going to happen in the future, but the basic idea is that this the dream version of what a Ghost Recon game should be. The authentic setting, the freedom that the open-world gives us, we have the mission structure that is completely open, you can take any mission in any order… this really is the dream version for many of the people I’m working with. So was it a different kind of challenge to create these characters who has to interact with an open-world? I mean, it’s definitely a new challenge for the team, but it’s a very senior team with a lot of great talent and there’s a lot of new technology involved. It’s quite impressive when you look at the weather system – everything changes, day and night, all this kind of stuff and the world is just beautiful and it’s so diverse. Seeing as this is Next-Gen with PS4 and Xbox One, how far did you go with making the characters sweat or be influenced by the environment? Yeah, they will get dirty when they crawl in mud and stuff like that. Great! So exactly how big is the map? We’re not saying exactly how big, but it’s the biggest action adventure the team’s ever done, so it’s pretty big. And it has eleven ecosystems, like I said, it has twenty-odd provinces, hundreds of landmarks and villages spread around, basically if you see a mountain way over there, you can go there. Now that you mention that, we know that recent sandbox games such as GTA 5 and Just Cause 3 gave the player a lot to interact with, especially with regards to the environment. So just how interactive is the environment in The Wildlands? Basically, everywhere you can see you can go. I think it’s what you would expect from an open-world game. What I think makes this one a little bit special is because it’s Bolivia (the setting) and it’s so unique and correct me if I’m wrong but not a lot of games are set in Bolivia and it’s such a gorgeous country, and there’s a bit of local culture in there as well, so yeah. So can we expect some beautiful scenery from this? Will there be moments that makes you wish you were there so that you can take a photo? I was just asked this question earlier and it gives me goosebumps every time I think about it. The mornings, you know, the sunset coming in and there are so many different places and you can just park at the side there and check out the scenery and it’s just gorgeous to look at. If you fought the cartels through the night, viewing the sunrise will feel real and earned. So it’s especially important in third-person shooters to get the characters to look and move just right, can you talk about the challenges of getting the characters and their designs to appear just as real and larger than life as the environment? It’s obviously a huge challenge when you traverse such a big environment and it’s a very complicated system. Visually, though, for us it’s the customization that enables you to be the Ghost that you want to be. We have tons of options for you to change outfits and all that kinds of stuff, so that really helps with it. You know you have your backpacks and your guns that are very, very detailed and lots of camouflage options, hats and just layers and layers upon layers. You have gender as well – male or female Ghosts and so on. Can you talk about the AI of your team? How smart are they? Well, basically they are designed so they don’t interfere with your play. When you play solo, you’ll have your three teammates and they will be there to back you up. You can give them some basic commands and they will heal you if you go down which becomes very handy. The cool part is, whenever you have a friend coming online he can just jump in and replace any of the AI Ghosts and the progress just keeps going. Let’s talk about the online play for a second, did you use a lot of the previous Tom Clancy games as a basis for maps, player interaction, mechanics and so on? I think this is definitely a fresh look on it. The key is basically with the four Ghosts, you just plan out your mission, you can do your recon, but we don’t tell the player how to play the game. You have total freedom. Even the online mode is set in the open-world, everything is open-world from the get go, and there is a hundred-plus story missions in the game but you can take them in any order and you just go out and explore and find these missions and you can say I want to do this one or this one in any order. The essence is that you are trying to destroy this cartel from the inside, so you go in and affect how they influence the world around them. You can destroy their production methods, you can focus your attention on their security and take that down or even their smuggling operations. You just slowly crumble the system, you turn their bosses against each other and stuff like that. Well, we’re obviously all gamers so, you know, we know what needs to be in the game to make it fun. We actually didn’t really look at other games, it was more like… what do we need to create for this to be awesome. Can we expect any twists with the in-game technology? Any new great guns and gadgets that will make the player go “Wow!”? We have some upcoming talks about that, I don’t have anything to reveal at this point but there will be more in the future, for sure. There’s so much emphasis on VR this year at rAge. It really is the future of gaming if you look around you and see what the developers are doing with the technology. Will there be any VR in Tom Clancy’s future? Anything is possible. Everyone in the gaming industry is really watching what happens with VR, it’s still in early stages but it’s going to be exciting to see what comes out of it. I hear you. So the marketing for The Wildlands has been heavily focused on the choice-based aspect of the game. Can you talk about how much the choices will affect the outcome of your character arc as well as the main story? How big is the RPG part of the game, like do you have classes, RPG trees and so on? There’s no player classes, you can play whatever style you want. There’s a little bit of progression with skills and stuff. You can upgrade your drone and gear. In terms of the world, it will respond to your actions. Like I said before, the cartels and security and so on are the things you’ll affect. You have the local resistance that also fights the cartel, and you can assist the resistance and help liberate victims in the camps and so on. That sounds great. So, last question, and this one is very important to us: Will you ever consider using South Africa as an environment in a game? We’ve had Far Cry that was set in the more rural areas, but how about using Joburg as a basis for an open-world experience? It’s definitely not my call, but I’ll definitely mention it to the team back home.